Rose and Jake shared their day with loved ones at Hazel Gap Barn. 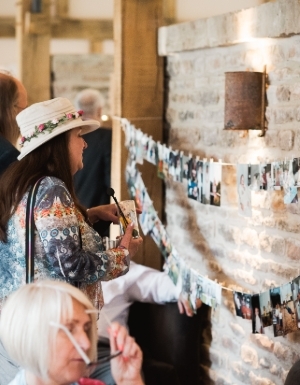 Rose Hughes, 28, married Jake Evans, 27, at St Peter and Paul's Church, followed by a reception at Hazel Gap Barn, on 31st May, 2018. 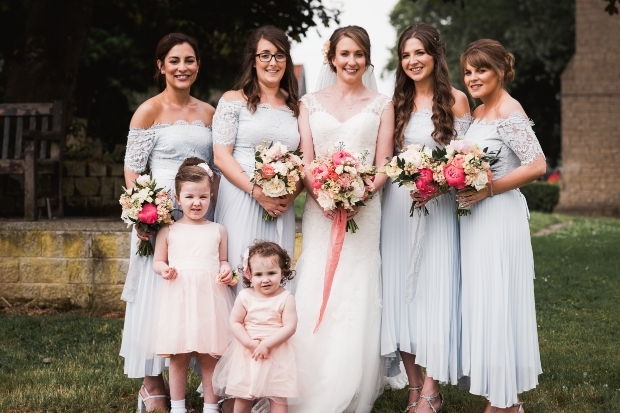 Our bridesmaids looked gorgeous in mid-length pale blue dresses and silver shoes. 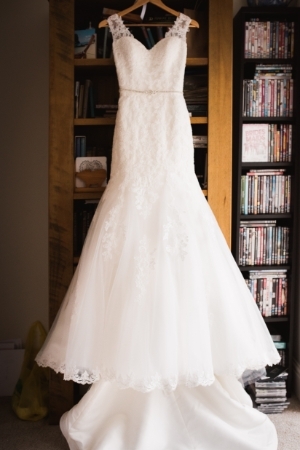 I loved the lace detail on the top, it went really well with my gown. My dress was from Nora Eve in Chesterfield. I loved the back detail and felt so elegant in it. 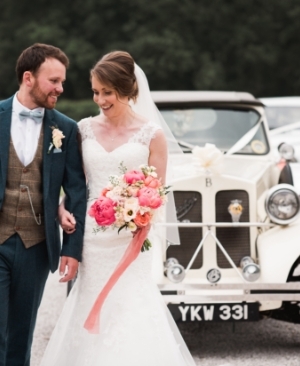 I accessorised with a veil and wore flowers in my hair that complemented my bouquet. 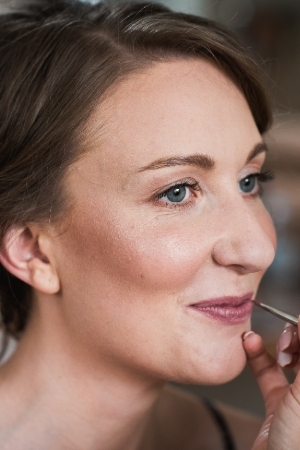 I opted for natural make-up. 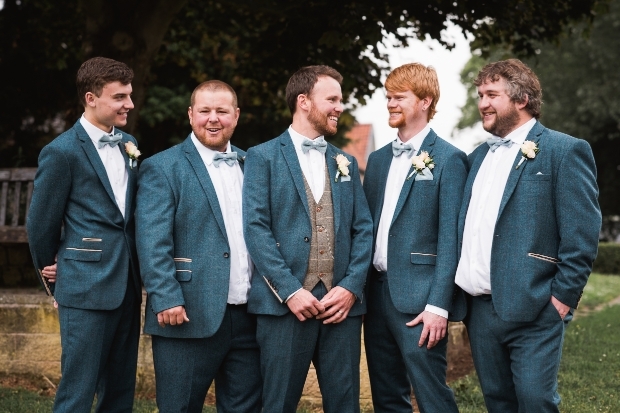 Jake and the groomsmen wore blue tweed suits and Jake wore a waistcoat to make him stand out. 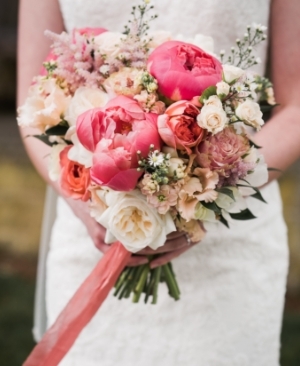 I opted for pink and peach hues in my bouquet. 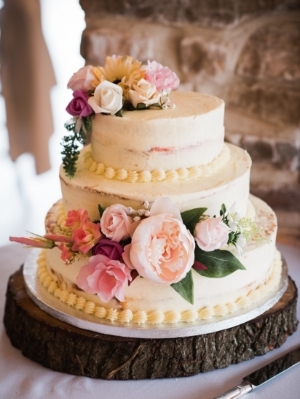 It was hand-tied with a coral ribbon, which really made the peonies stand out. 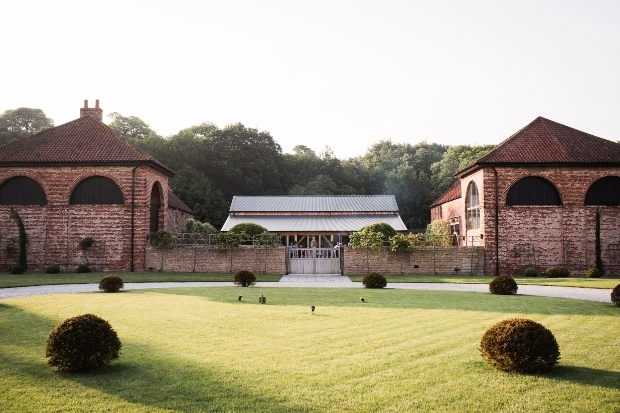 Hazel Gap Barn was the obvious choice for us when it came to the venue. 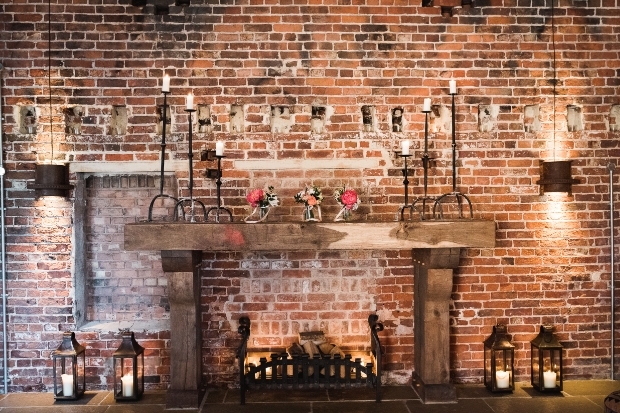 It's close to where we live and set in the countryside for that rustic look and feel. 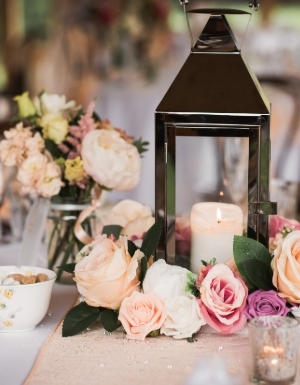 For our centrepieces we stood pillar candles in lanterns and surrounded them with matching blooms and tea lights. We placed photos of our grandparents around the venue along with pics of Jake and I growing up and a timeline of us together. Everywhere you looked in the venue we'd placed flowers, candles and lanterns. It looked so romantic. 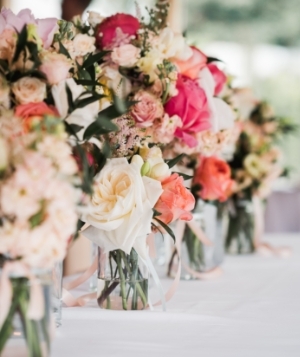 Along the top table there was a stunning array of flowers placed in glass jars. 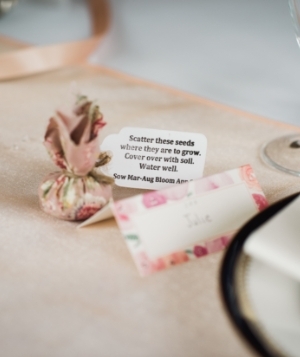 For our favours we placed seeds in little table cloth squares. We liked the idea of guests being able to watch their flowers grow in the months following our wedding to remind them of our day. 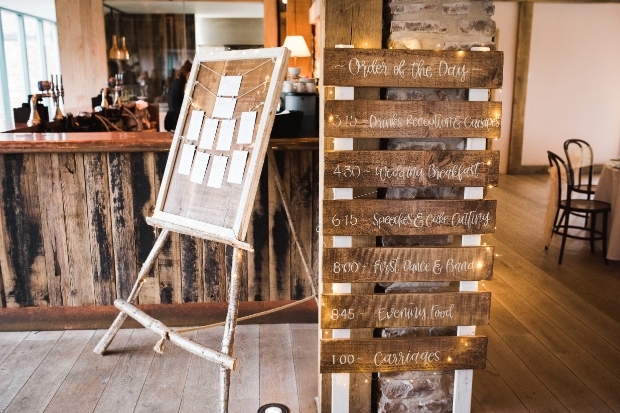 Our rustic wooden table plan and order of service really suited the look of the venue. We chose a victoria sponge cake as that's Jake's favourite. It looked and tasted gorgeous. We served afternoon tea for our wedding breakfast. 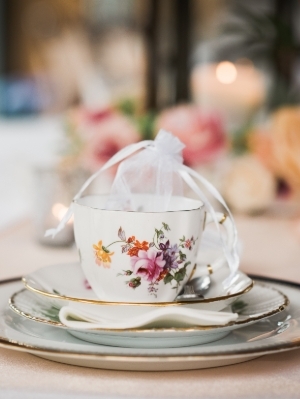 I loved how quaint the tea cups and china crockery looked on the tables. 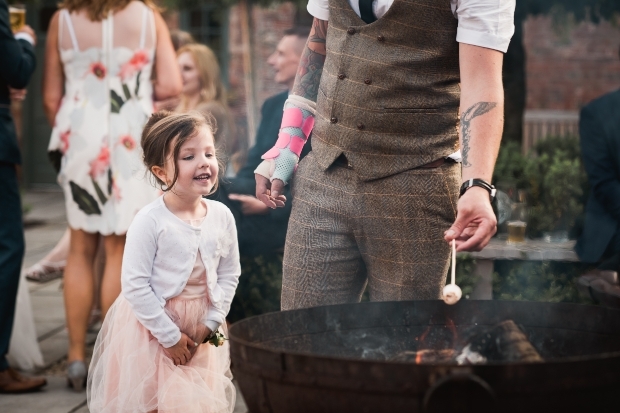 Outside the venue, guests toasted marshmallows on the firepits, which went down well. 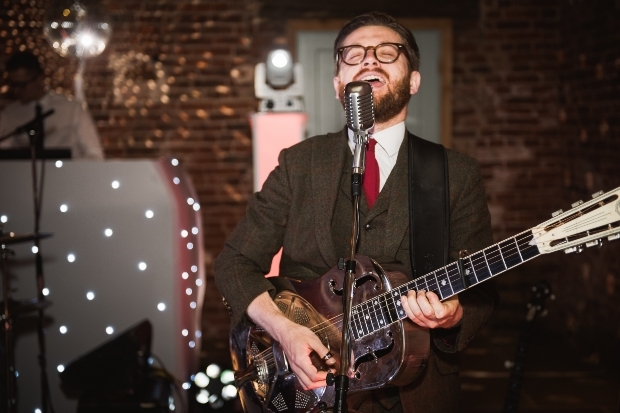 We had a band called Leeds City Stompers and a DJ from Dream Wedding and Events. They really created a party atmosphere as the night went on.